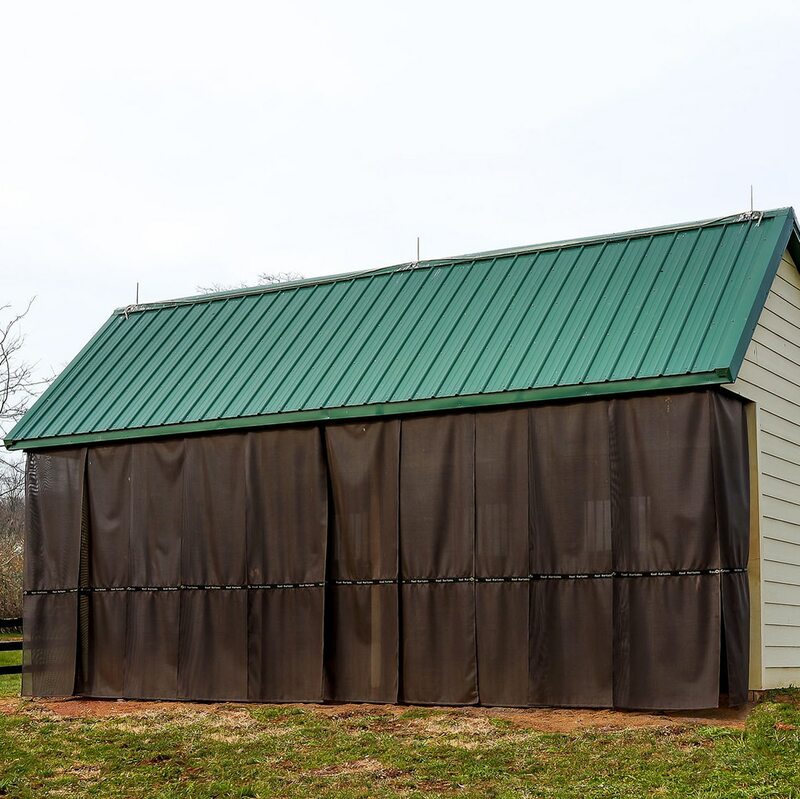 Kool Kurtains are a new, technically-advanced product that are scientifically proven to deflect up to 80% of the sun's heat rays providing passive cooling to barns, run-in-sheds, stalls, kennels, aisleways, hay storage buildings and other agricultural facilities. 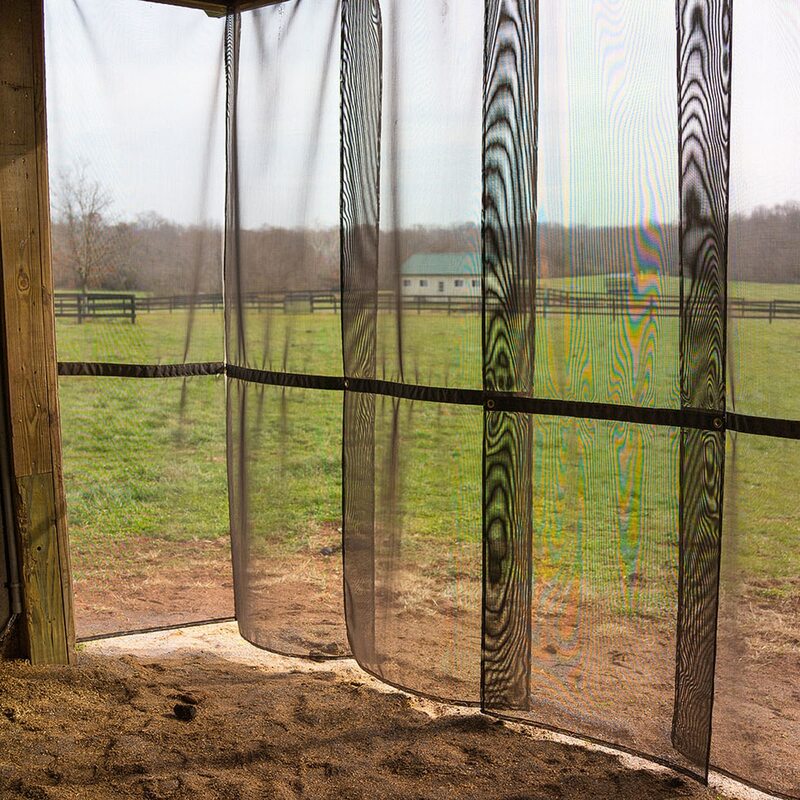 With their unique panel design, Kool Kurtains also screen out bugs and birds, yet allow for airflow and provide easy access for horses, people and equipment. 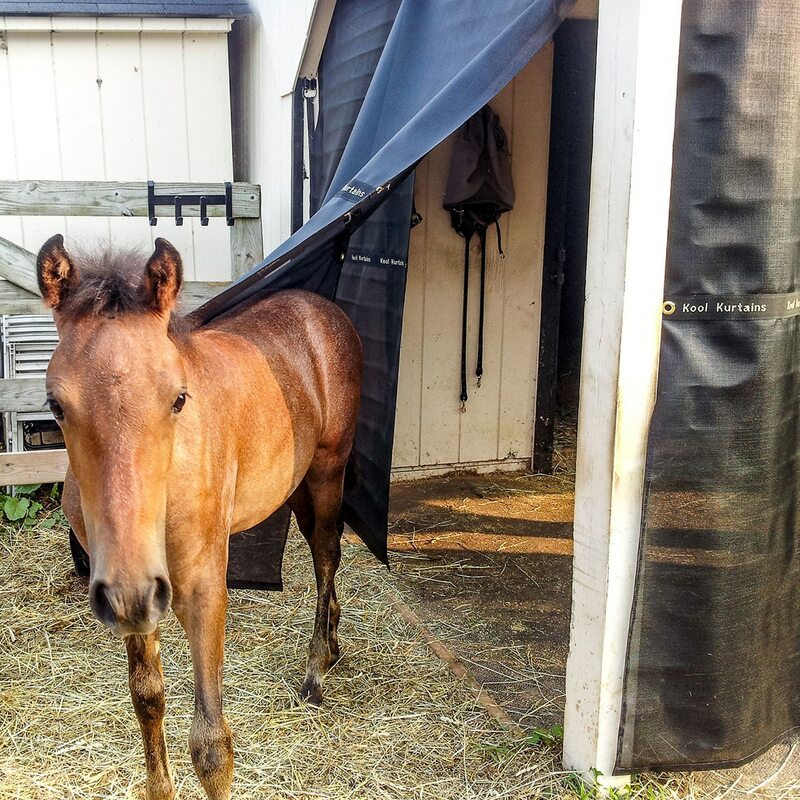 Kool Kurtains are extremely durable and can transform a run-in, barn or stall from a bug -infested hot box to a cool bug-free haven for horses. ...without electricity or insecticides. Works in winter too for run-ins by helping to keep out rain and snow and bedding drier. Easy to install Panel design allows for accommodation of almost any opening. Provides easy access for people, horses and equipment. Saves on use of insecticides. Materials 100% sourced and proudly manufactured in the USA. Kool Kurtains panels come standard width: 35.5". Panels come in 7 standard lengths : 7 ft. to 10 ft in 6 inch increments. Kool Kurtains Panels is rated 5.0 out of 5 by 2. Rated 5 out of 5 by Allegro from Kool Kurtain Love them! I bought these Kurtains this summer. They were easy to properly install. 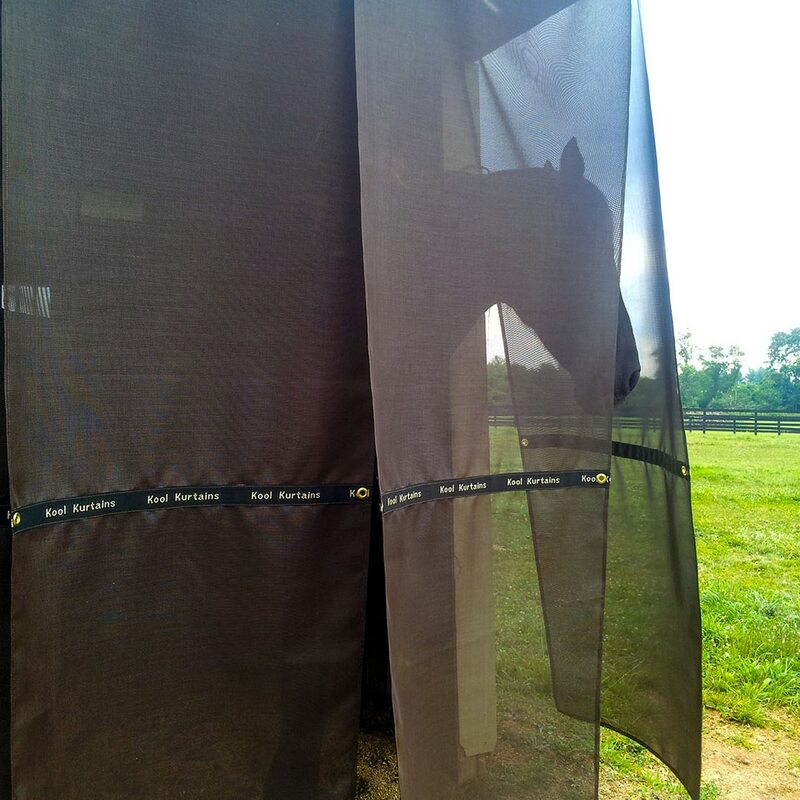 Allegro's stall is bug free and cool in the summer. I'm leaving them up this winter. They help keep out rain and snow. Also they help keep the stall warm these winter nights. I love how easy you can see out but can not see in. 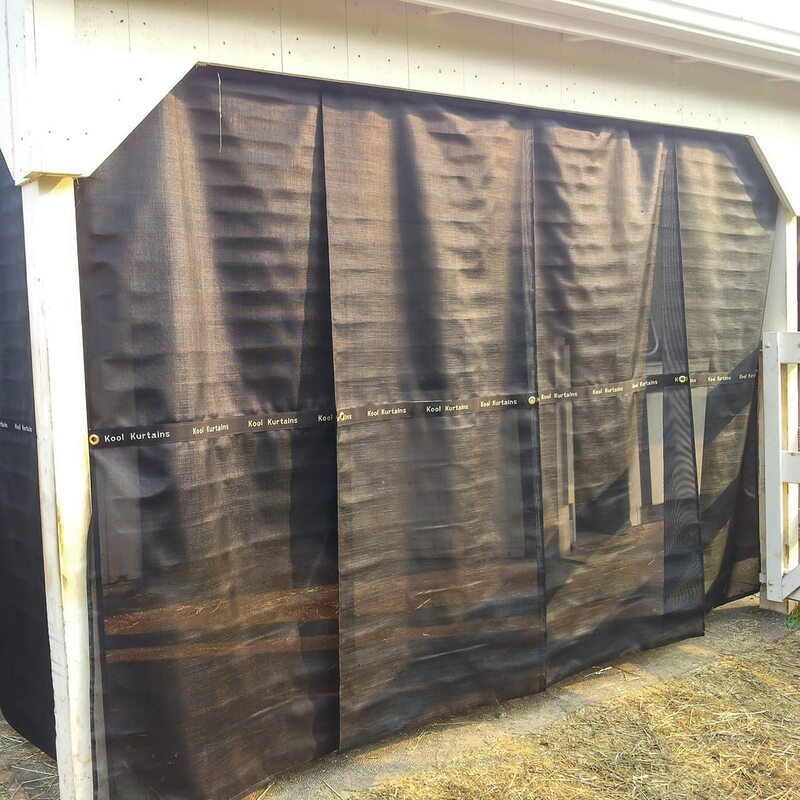 Rated 5 out of 5 by Sammie from Wow... these work We did the barn aisle with panels and the stalls with Dutch Door covers. Made a huge difference ...about 15 degrees cooler and no bugs. These are well made and seem like they will last. We are so glad we did this.. a bit pricey ...our aisle was $400 and the Dutch Doors $100 each but very well worth it. Horses are happy...no bugs and it is so much cooler.